Each year, St. Stephen's annual Bravo! for the Children event raises money to support communities in Columbus's Linden area. It starts with a theme- and after lots of inspiration-gathering, we begin to design logos, invitations, banners, set pieces, photo booth areas, signage, and auction tables. 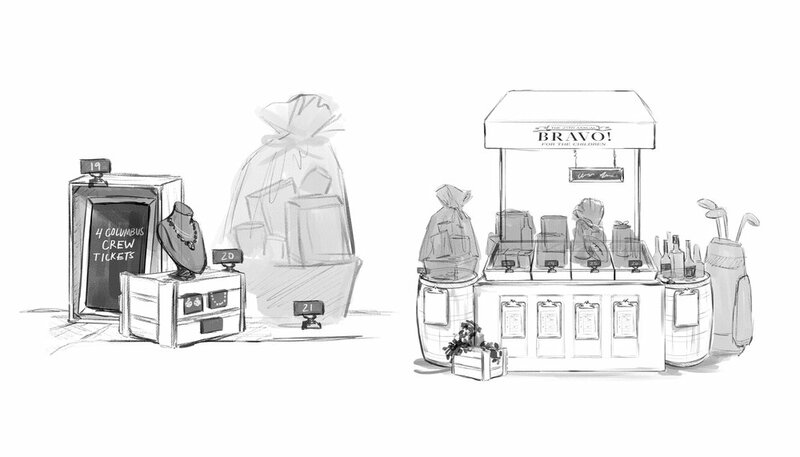 The following images are examples of final concepts for the event and elements for promotional materials. Engraving-inspired icons and logo created for invitations and print materials. Visual merchandising concepts and auction table design. Concepts for functional, maximum-capacity auction tables. Interpretation of the St. Stephen's Community House logo to represent the theme "Sowing the seeds for a brighter future." 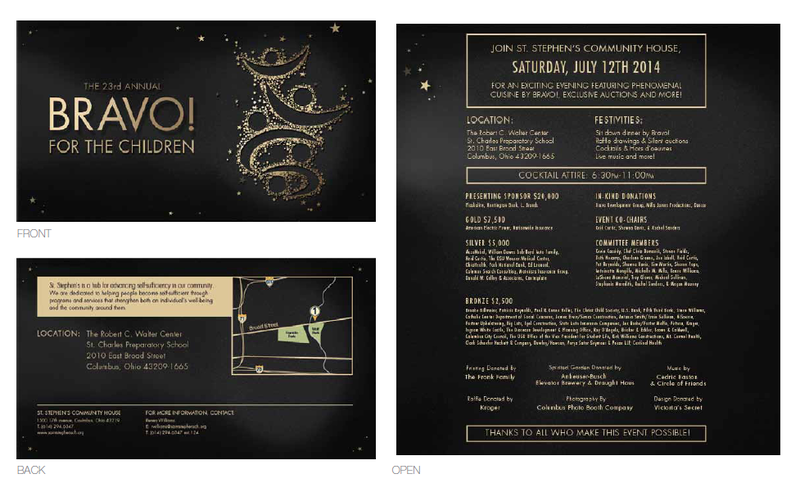 Illustration was used for the event backdrop and invitations. Two options for photo area scenery. Right: Real greenery and frames with foam core balcony. Tabletop decor with seating assignments. Rendering used for backdrop and invitations. Folding invitation - requested to include event logo, map and directions, event information, and list of all sponsors. Recognition card given to sponsors at the event. Layout design for auction sheets and tickets handed out at the event.